LOS ANGELES— Cinema Audio Society President, David E. Fluhr, CAS, announced that the organization will honor Production Sound Mixer, Chris Newman, CAS, with the Cinema Audio Society’s highest accolade, the CAS Career Achievement Award, to be presented at the 49th CAS Awards on February 16th, 2013 at the Crystal Ballroom of the Millennium-Biltmore Hotel, Los Angeles. Newman has previously received the CAS Award for Outstanding Achievement in Sound Mixing for a Feature Film for The English Patient. Newman is also a three-time Oscar® winner. In a career that spans more than 40 years, Newman has been the Production Sound Mixer on more than 85 feature films, including Medium Cool, The French Connection, The Godfather, Nell, Thunderheart, Tender Mercies, Silence of the Lambs, Sophie’s Choice, The Unbearable Lightness of Being, The People versus Larry Flynt, Primary Colors, The Manchurian Candidate, Chorus Line, Man on the Moon, Philadelphia, Fame and Before the Devil Knows You’re Dead. Prior to working on feature films Chris spent a decade working on documentaries including working for Ted Yates’s NBC unit in Southeast Asia in 1966. Having taught sound and filmmaking in Europe, Brazil, Mexico, and at NYU and Columbia University, Chris currently teaches both sound and production at The School of Visual Arts in New York. 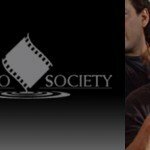 As the 31st recipient of the Cinema Audio Society’s highest honor, Mr. Newman joins an illustrious group of past honorees that include: Ray Dolby, CAS; Robert Altman, Jack Solomon, CAS; John Bonner, Bill Varney, CAS; Don Rogers, CAS; Walter Murch, CAS; Jim Webb, CAS; Richard Portman, CAS; Tomlinson Holman, CAS; Mike Minkler, CAS; Ed Greene, CAS; Dennis Sands, CAS; Dennis L. Maitland, Sr., CAS, Randy Thom, CAS, Jeffrey S. Wexler, CAS and Scott Millan, CAS.